Move over Roscoe’s Chicken & Waffles…. 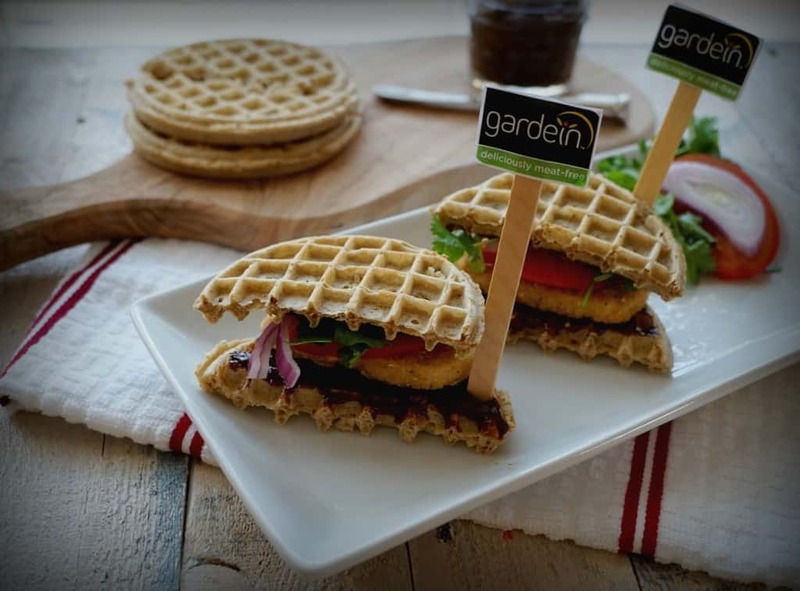 Gardein’s Chicken & Waffles with Jalapeno Jelly are about to take first place! Disclosure: This recipe is part of a sponsored media agreement with Gardein. Though all opinions and recipes are my own, I was provided with products and compensation. Trust me when I say though, these chicken and waffles are A-MAZING! Superbowl Sunday is filled with countless yummy, delicious eats and treats! Even if you’re not a football fan, you’re bound to join in the festivities of this sporting event just for the food, halftime show and commercials, right? Good, me too! I’ve come to accept the fact it may be decades before we watch the BEARS in the game; sorry Mr. CEO, I’m just being honest. Nonetheless, I’m not about to let that stop me from whipping up delicious game day eats for us to enjoy. Now, how did these Chicken and Waffles with Jalapeno Jelly come about? Glad you asked! First, I thought about what I would do if I was in control of the Superbowl schedule. I’d make it a noon game. Something everyone could gather around and watch but still get home with plenty of time to sober up refresh before Monday morning came. A noon game would then mean I could do a whole brunch spread. Bingo! I love breakfast-lunch combinations, especially because there are so many “comfort foods” that attract kids and adults alike. Instead of the decadent, full fat chicken and waffles you’ll find at local hot spots, I wanted to create something that was light, spicy and slightly sweet (aka Plum Jalapeno Jam!). I wanted it to be vegan too. I always feel bad when vegans/vegetarians are expected to eat the veggie tray and hummus (if available) and feel satisfied. Sure, they love a good hummus, but they like real food too. 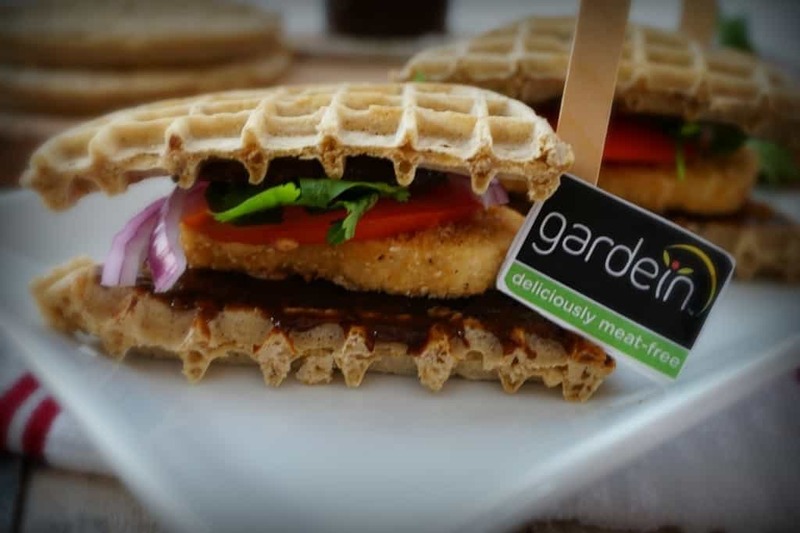 That’s where Gardein comes in! 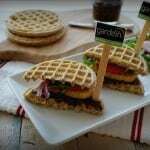 Gardein has a great line of vegan friendly meat alternatives that please both omnivores and herbivores alike! Trust me, Mr. CEO has never turned down a Gardein Chick’n Burger, BBQ Sandwich or Ground Crumble and he was raised on a farm. Maybe their new slogan should be “Farmer Friendly”…. Anyways, I hope you enjoy this as much as we did. It’s the perfect way adults can indulge alongside their kids without letting those New Years Resolutions go out the window. Plus, if your kids aren’t keen on the spice, you can simply spread a little of the DIY Ranch Dressing on it instead. A little extra calcium won’t hurt them! 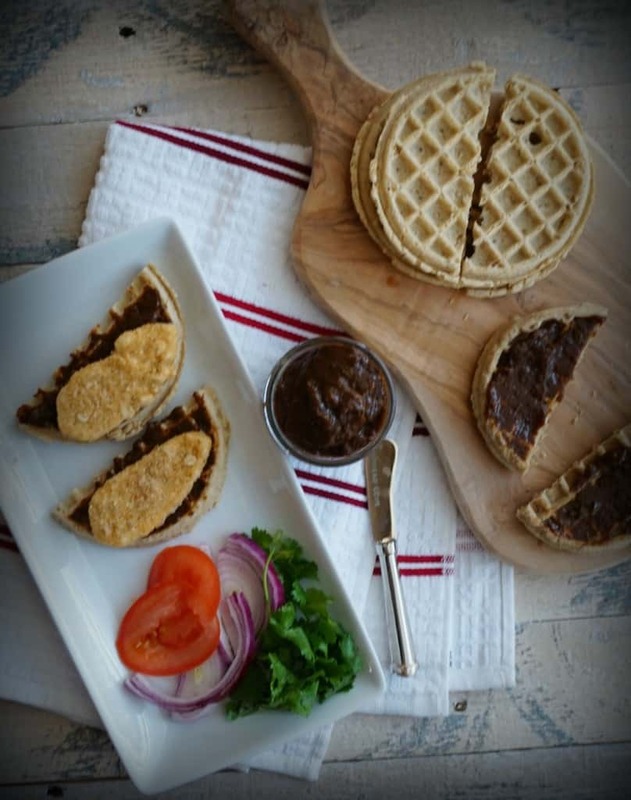 Step up your game day food with these Chick'n & Waffle Sammies topped with spicy Jalapeno Jelly! Bonus, it's vegan too! 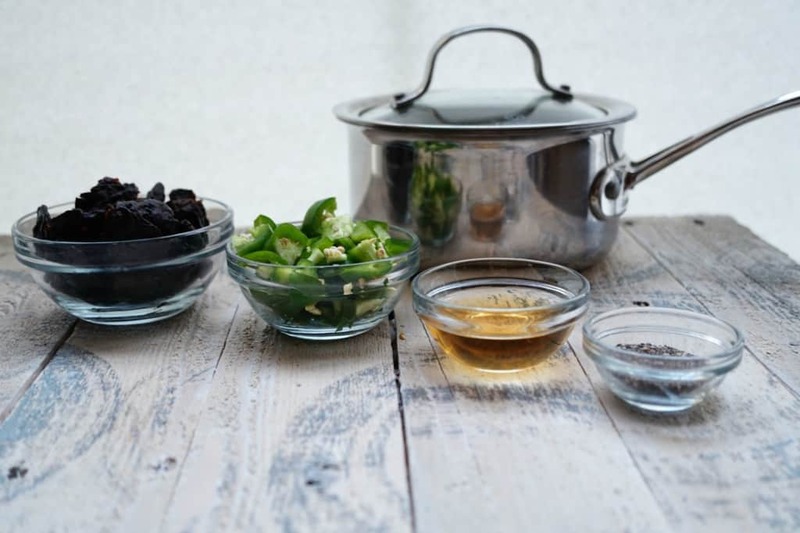 In a small pot with a lid, add dried plums, chopped jalapenos, apple cider vinegar, chia seeds and water. Bring ingredients to a boil, turn down heat to simmer and cook for 15-20 minutes. Stir occasionally to prevent jelly from settling on the bottom. Remove from heat and cool in the refrigerator for at least 2 hours. When ready to use, take out jelly and using an immersion blender or blender cup puree jelly to create a smooth consistency. This will yield approximately 1 1/4 cups of jelly. Thirty minutes before you are ready to serve, turn oven on to 430* F.
Once preheated, place Gardein Seven Grain Crispy Tenders on a baking sheet and cook for 20 minutes. While cooking, place vegan waffles in the toaster on high heat until lightly crispy. Cut a waffle in half, lather both sides with 1/2 tablespoon of jelly each. Place one Gardein Seven Grain Crispy Tender on top, adding a slice of tomato, red onion and sprig of cilantro. Top with remaining waffle slice. The vegan waffles I like are Kashi's Gluten Free! Now, what would you whip up if the Superbowl was changed to a noon game?! Drooling. And I just had Roscoe’s recently! Thanks Lynn! I am glad you enjoyed the photos- now to try the #simpleswap version!! 🙂 LMK if you like it! This is very cute idea! Love the pepper jelly! Thanks Rebecca- I hope you enjoy! 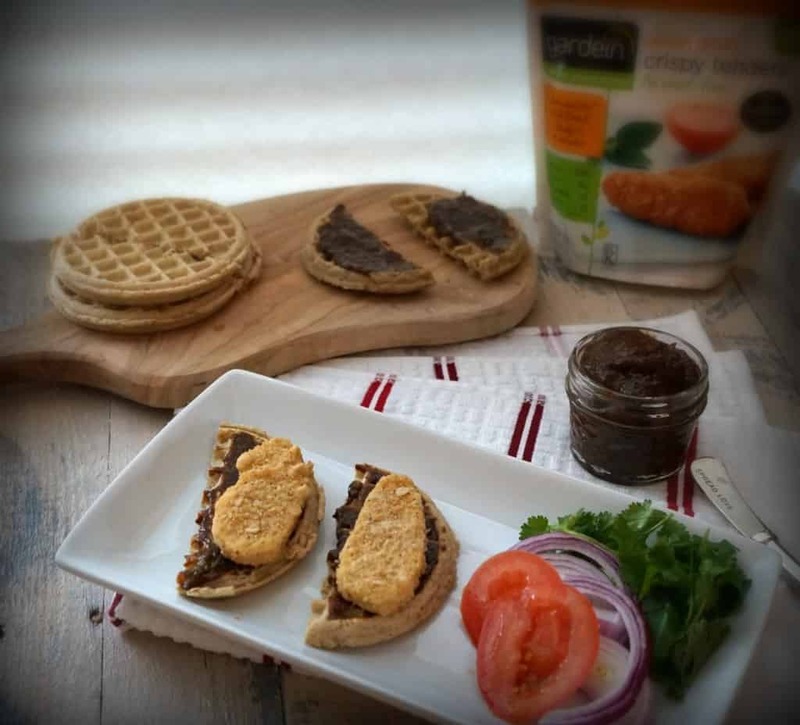 Love this vegetarian version of chicken and waffles! How fun! And that Jalapeno Jelly?! Yes please!! 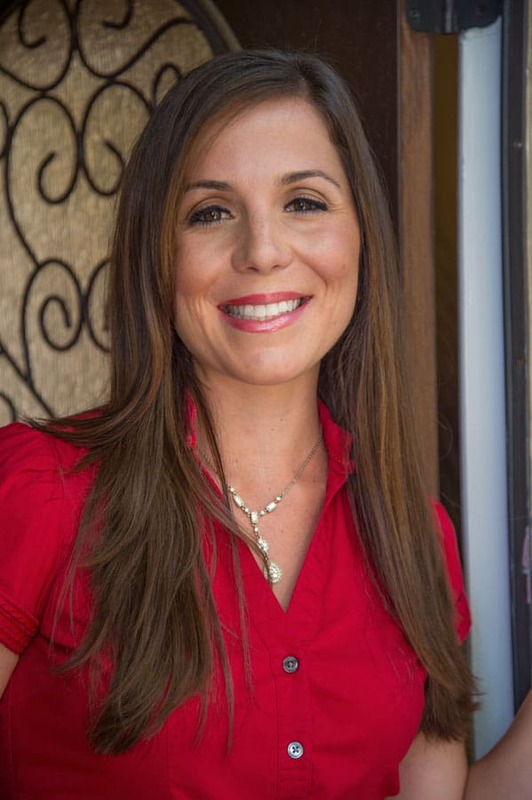 Great job Liz!